At 682 hectares, Manuel Antonio National Park may be Costa Rica's smallest but it gets very busy with as much as 150,000 visitors during the peak season. We're here during the rainy month of September and as expected, we're getting rain today. I really don't mind. The park won't be crowded and I'll be wet anyway checking out the waters of the Pacific this side of the world. Felipe, our guide, picked us up very early at the hotel. Two others guys joined us - an Argentinian and a Puerto Rican. 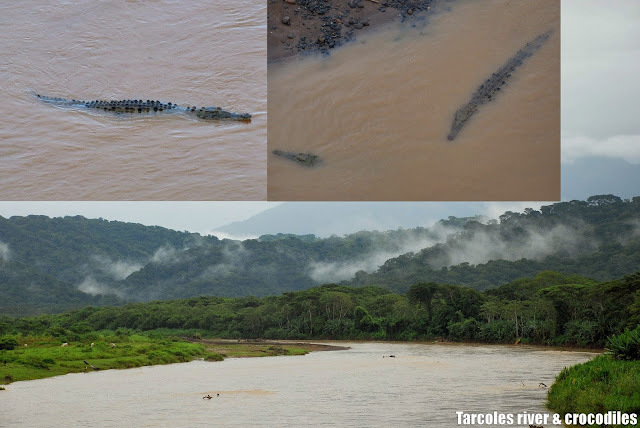 We stopped by for breakfast near Orotina and later stood on a bridge to see huge crocodiles along Tarcoles river. Just after Jaco, the gray skies turn into rain and it went on intermittently. A short stop at a restaurant along the highway gave us a grand view of what the park is all about: the forest and the sea. At the park entrance, we wore our ponchos and Felipe led the way. Despite its diminutive size compared with Costa Rica's other national parks, Manuel Antonio hosts an incredible number of animals and birds. We saw a sloth cozying up a tree branch and a deer that seem unperturbed by humans. 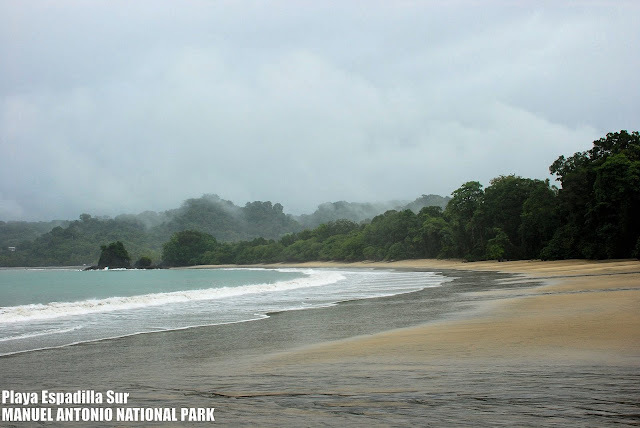 There are four beaches in the park: Playa Espadilla Norte, Playa Espadilla Sur, Playa Puerto Escondido and Playa Manuel Antonio. The latter is the prettiest and that's where Felipe is bringing us to. Indeed, just looking at this section of the park gives you an idea of how tropical beaches must have looked like in the 1500's when Spanish invaders came ashore - whether in Costa Rica or in the Philippines. Despite the rain, we hiked towards the Cathedral Point, a 100-meter high piece of forested land jutting out to the sea that once was an island and is now connected to the mainland by a natural land bridge called tombolo. Cathedral Point is the most photographed, usually appearing in postcards and glossy brochures. Our walk ended at the Playa Espadilla Sur where the surf is big and riptides are common. A short walk crossing the tombolo and we're back to Playa Manuel Antonio. Of course, we're not going back to San Jose without trying the warm waters of the Pacific. 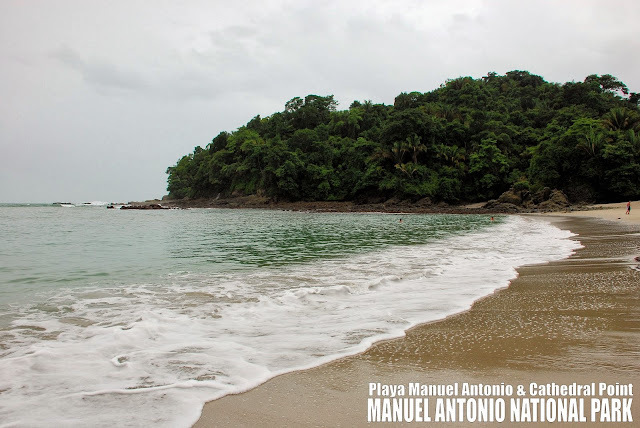 We spent the rest of our stay swimming at Playa Manuel Antonio and felt so happy being in such a natural setting where the forest and the sea meet - there's no ice cream vendors, no beach volleyballs, no beach umbrellas, nothing like the commercial beach resorts in North America. 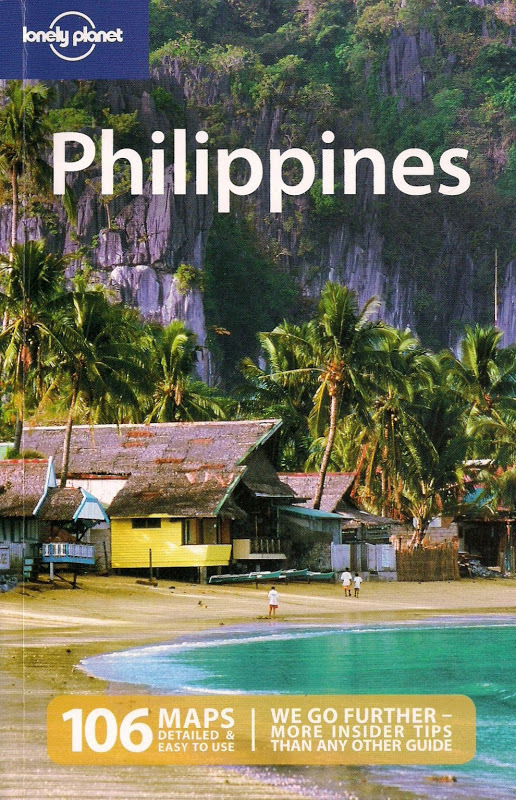 Just read ur trip to Costa Rica- delightful! this place is really nice! I wanna visit this some day. :) Thanks for the great sharing..